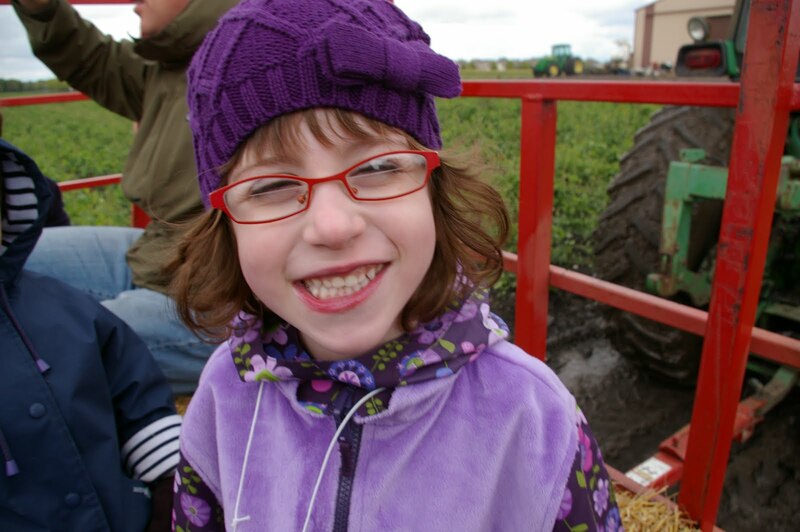 Just another goofy four-year old on a school field trip to the farm (October, 2009). Sometimes I forget that Charlotte is not a regular kid. Yes, every morning and evening as I help her dress for school or get ready for bed, the scars remind me. In between those moments, it is easy to forget a lot of our struggles and take for granted that she is a healthy kid who happens to also be medically complex. Philippe is reminded (haunted?) by her past struggles at mealtime. Those days when she gobbles up everything in sight do cause us glee and gratitude that probably is a bit exaggerated. The days when she behaves like a regular 4-year old and refuses to eat make us crazy because we are wired to force-feed. We work really hard on our mantra “just a regular kid,” but it can be hard. She’s a regular kid, alright, complete with giggle fits and temper tantrums, moments of wonder and profundity, and growth spurts that astound. But, she’s never going to be quite regular, is she?